Here it is.....Diamonds new DA62. A very capable aircraft, with a cutting edge design. Dual Austro powered diesel engines that burn under 12 gallons per hour total! A huge range due to the low fuel burn, and Garmin state of the art G1000 NXi in the panel. 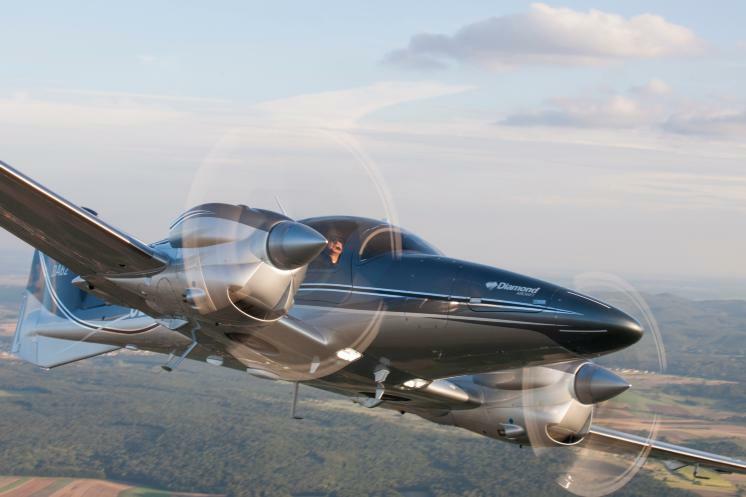 Having a plane like this is as close as you will ever get to owning your own magic carpet. Call us to learn more! All over Metallic Red Gorgeous aircraft. Interior is buttery Anthracite gray leather. The cabin is spacious, seating for 7 people, excellent for business or pleasure.